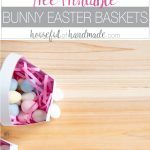 Easy bunny Easter baskets make the perfect Easter treat! Hippity hop, the Easter Bunny is on his way… and fast! This year Easter is in March and I’ve barely started getting ready for it. 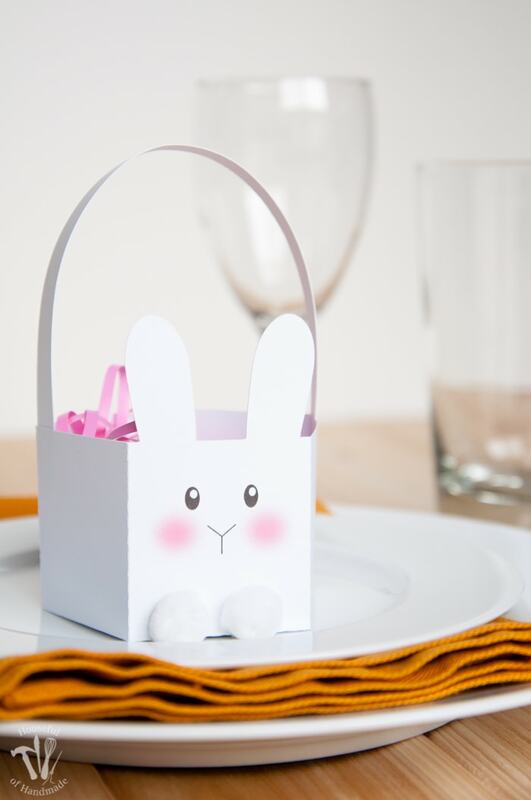 Today is as good a day as any for Easter crafting, so let’s get started with these adorable printable Bunny Easter Baskets. Their sweet little faces make me so excited for Easter. And if you love this bunny face, you will also love this cute printable bunny art. I love cooking for the family. Cooking can be a stress reliever for me, as long as I have a menu planned (I really hate trying to figure out what to cook, I am trying to be better at planning ahead). But even when I make a big fancy dinner, we eat it on our basic tupperware plates with our water bottles instead of glasses, and usually there are only forks for silverware. We eat good, but keep it simple for the kids! However, a few times a year I love to go all out and set a proper table! I get out the cloth napkins, add a salad plate and at least 3 pieces of silverware. We get to use a water glass and a wine glass (juice for the kids). Super fancy! 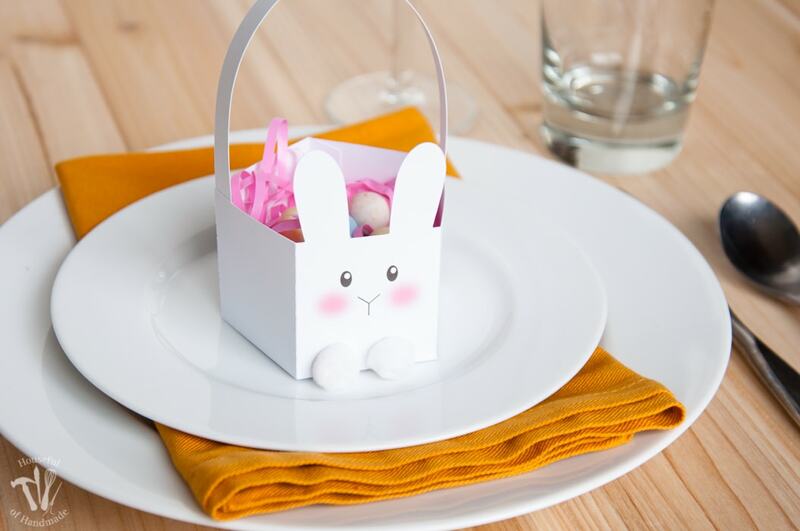 And when I do it for a holiday, I love making cute crafts for each places setting, and even better if they can hold a little appetizer or treat like these adorable bunny Easter baskets. These bunny baskets actually came about because of an error while trying to figure out these printable egg shaped boxes. I miscalculated my geometry (which actually happens a lot, don’t tell anyone) and ended up with flat eggs. But my husband insisted I could turn the mistake into something else. He kept telling me that Post-Its were a mistake turned into a billion dollar industry. 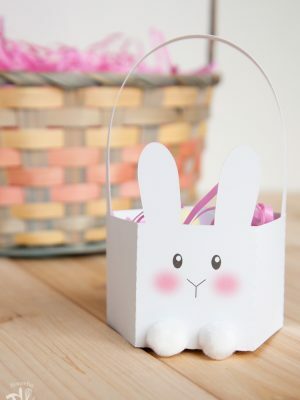 I am not claiming bunny baskets are anywhere near as awesome as Post-Its, but they are super adorable and perfect for Easter. My mistake box sat on my desk, taunting me while I figured out the other boxes. Then it hit me, BUNNIES! If you want adorable bunnies, without the poop and needing to remember to feed them, these little bunny boxes are the perfect solution. Just look at their sweet little faces. To make them even more adorable, I added little pom pom feet and cotton ball tails. Bunnies need to be fluffy. Now instead of staring at my mistake box on my desk, I have an adorable little bunny smiling at me, and holding a treat (thank heaven for Cadbury Mini Eggs). 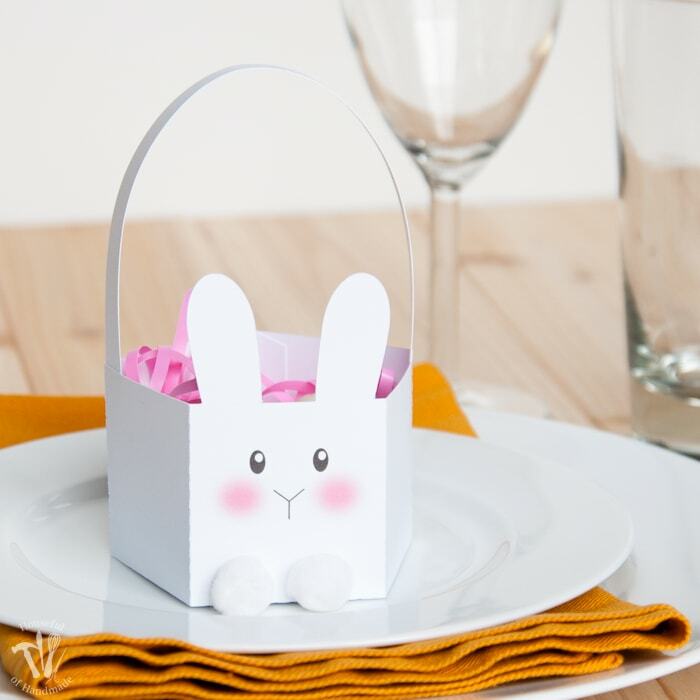 The PDF for these bunny Easter baskets was free to my subscribers until 3/3/2019. Now they are available for purchase in the shop. Make sure to subscribe so you will be notified of new freebies! I love using my HP Officejet Pro for all my printables. Easter grass and treats (optional but makes these much yummier). 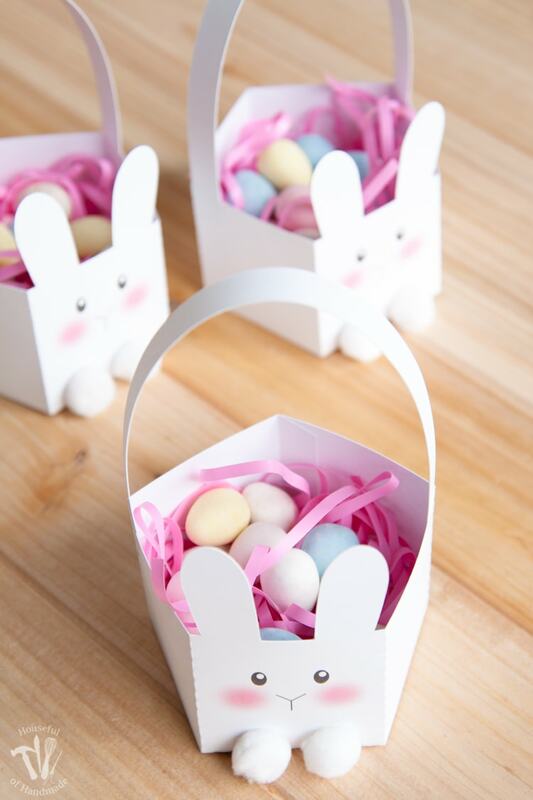 These bunny boxes are super easy to make. Just print out the PDF and cut along the solid lines. Then score and fold along all the dotted lines. Glue the tabs (I used a regular school glue stick). I started by glueing the tabs on either side of the front, then ended at the back, securing the back tab at the same time as the bottom tabs. To add the handle, add some glue to the inside of the box just before the side fold. Then do the same on the other side and secure the handle. Finish them off by glueing small white pom poms on the bottom front and a cotton ball on the bottom of the back. I used my hot glue gun for this. 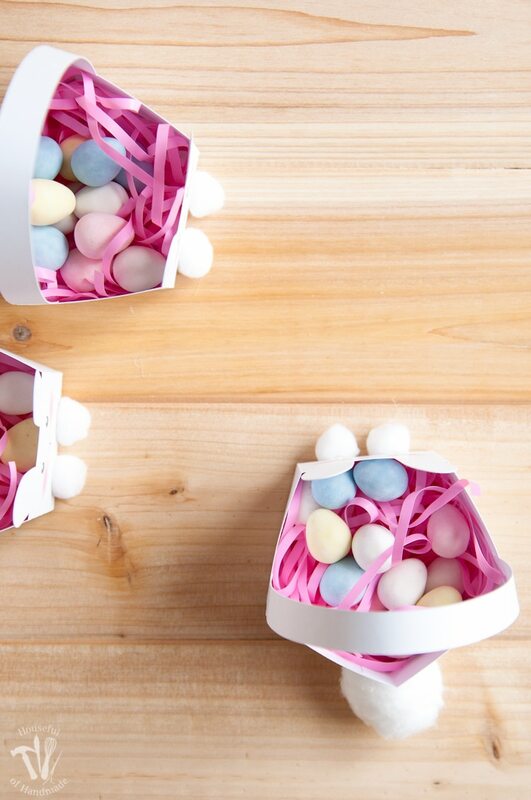 Now fill them with a little Easter grass, then add your favorite treats. I’ll probably eat all the Cadbury Mini Eggs and fill them with jelly beans or malted eggs for the kids before Easter, haha! Since I have a few more weeks until Easter, I can create an entire bunny basket army. Little bunnies in every room… sounds perfect to me! 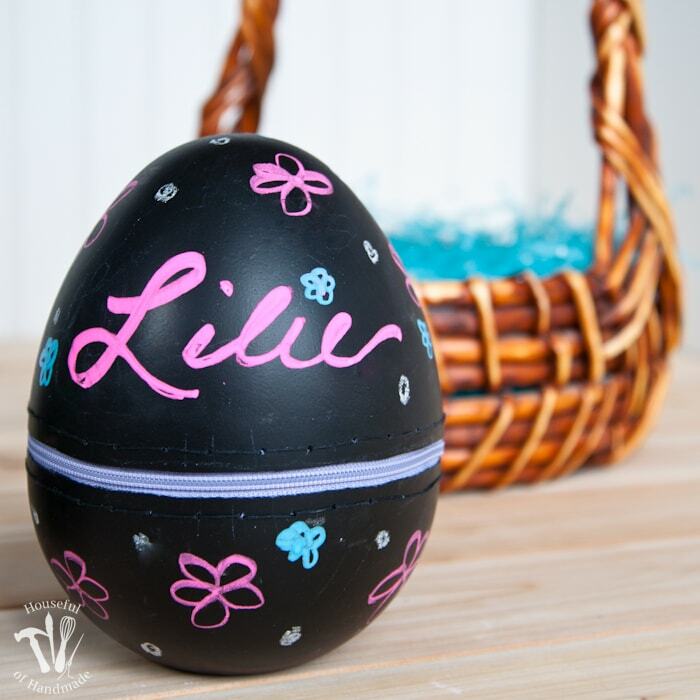 Celebrate Easter with these fun and easy crafts! 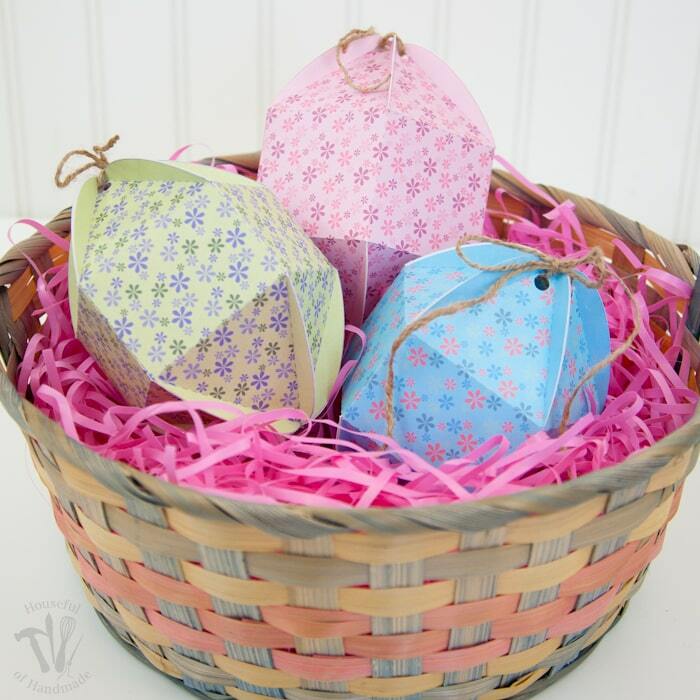 These egg shaped boxes are the perfect way to fill up your Easter basket. They are a great alternative to cheap plastic eggs! Make an egg with a zipper that you can reuse every year. Great for hiding larger Easter gifts like stuffed animals and clothes. 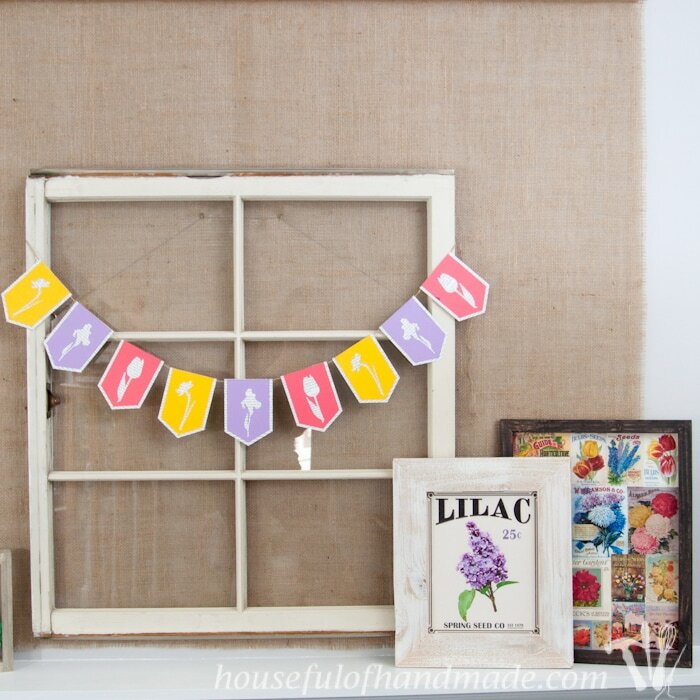 Decorate for spring with these early spring flower silhouettes on a book page banner! Printable art is the easiest way to decorate for any season. 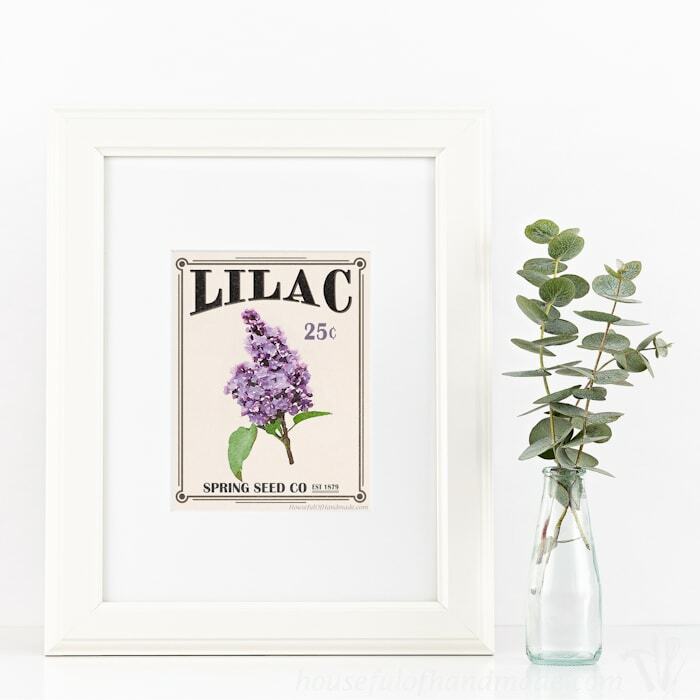 This beautiful lilac vintage-inspired seed packet is perfect for Easter or spring decor. 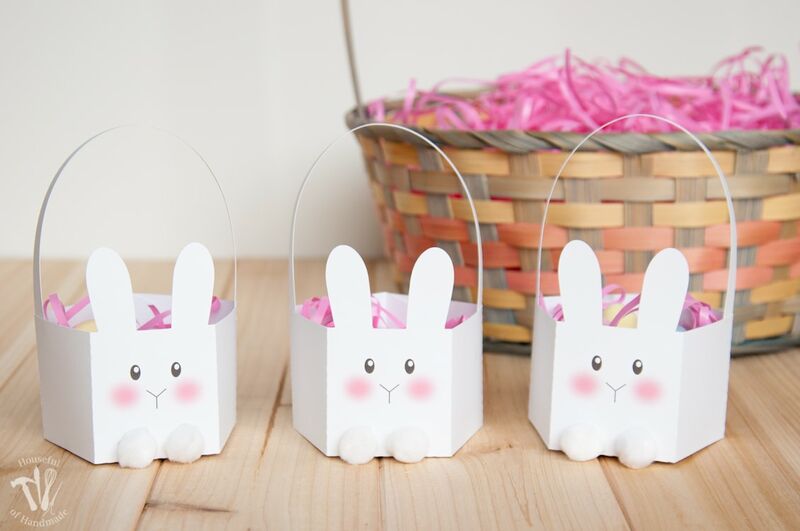 These simple printable bunny baskets are the perfect easy craft for Easter. They can be made in minutes to give treats to all your friends and family. Now it’s time to go decorate some eggs and fill my house with all things Easter! 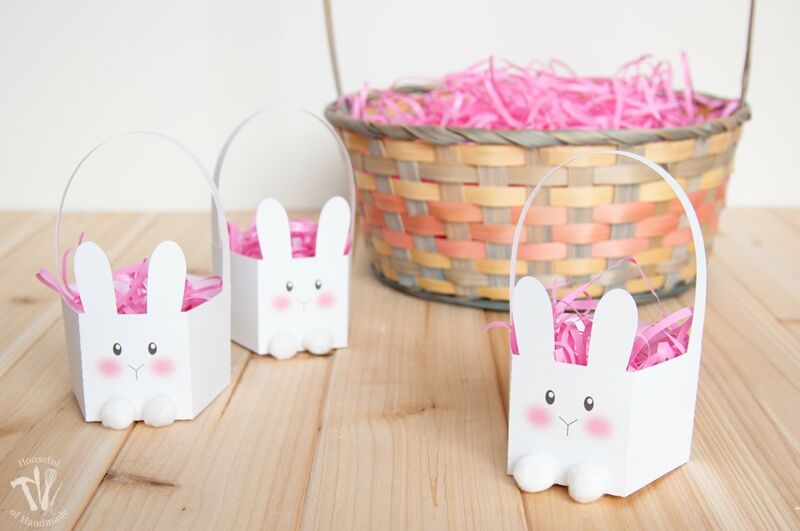 Love these bunny baskets! Thanks so much for sharing with us at Merry Monday. Super cute, the kids would love them! Glad I have a few more days to work on Easter!! Visiting from Party In Your PJs. SO cute! I totally want to use these to drop off a few goodies to neighbors. I also love the egg-shaped boxes. Thank you! So cute and simple! This will be perfect for gifts this year 🙂 Thanks for sharing! Thank you Diana! They are perfect for fun Easter gifts. These are so cute, I might print some off to give some treats to my friends kids. Your pictures are lovely. Thanks so much Kate! These are the perfect baskets for treats for the kids. My kids have been hopping their baskets around even after they ate all the treats. Love these! Pinning and making them soon!